He studied in Manchester for 4 years and really enjoyed his time in England. He has been working in China for 11 years and latterly as the Operations Director of a large electrical manufacturer. He has other business interests including marketing children's clothing. Here Lucy achieved BA(Hons) in Knitwear Design. Her fashion industry experience started as a Graduate Designer with High Street retailer Dorothy Perkins following a successful work placement with Abercrombie & Fitch. Lucy then moved into freelance work before starting her own Design business Design Solutions Ltd. producing Design Portfolios working for mainly US based Brands such as Abercrombie & Fitch, Ralph Lauren, DKNY and Tommy Hilfiger to name a few. We are delighted Lucy will be working alongside Anglo China in this programme. David has extensive experience in the clothing and design industry, trained initially as a Textile Technologist he has spent 35 years in the fashion industry in Senior Management roles, most recently as Managing Director of the Triumph International UK business where he maintained their market leading position for 20 years. At the same time he ran a major own label business supplying major UK high street retailers. Working closely with Chinese and other Asian countries designing and manufacturing for these major customers. David has a great love of product and always involves himself in design and range development. He is now looking forward to helping Chinese people to embrace the world of contemporary fashion to be comfortable and confident in their clothes. We are delighted he has agreed to join us and head up the UK part of this programme. Would you like to visit London and England? 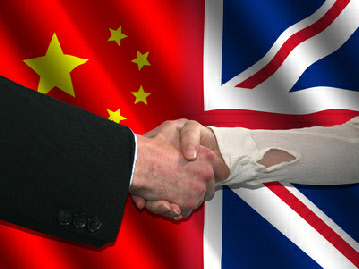 Anglo-China invite you to combine the two! 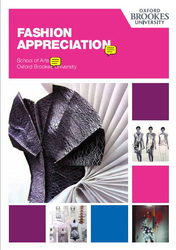 Working in co-operation with Oxford Brookes University in England we are delighted to offer Chinese citizens the opportunity to attend a specially developed 4 week Fashion Appreciation course in the famous university city of Oxford. The course is designed to give you a greater understanding and appreciation of Contemporary Fashion, how it is developed and what shapes, colours and looks are right for you and other people. Finally you will produce your own "look" enjoy a fashion makeover and take part in a photo shoot for your portfolio, with your photograph on the front cover of a "Fashion Magazine"